The master luthiers at Gibson Memphis have created another masterpiece, the Trini Lopez ES-335 Standard. This impeccable guitar features the familiar maple top, back, and sides - in a luscious Ebony gloss finish, but departs from the '335 design formula with distinctive diamond-shaped f-holes, a non-reverse Firebird headstock, and signature trapeze tailpiece. The speedy neck is topped with a 22-fret rosewood fingerboard adorned with split-diamond inlays. Fat vintage tone pours from a pair of Burstbucker Pro humbuckers. 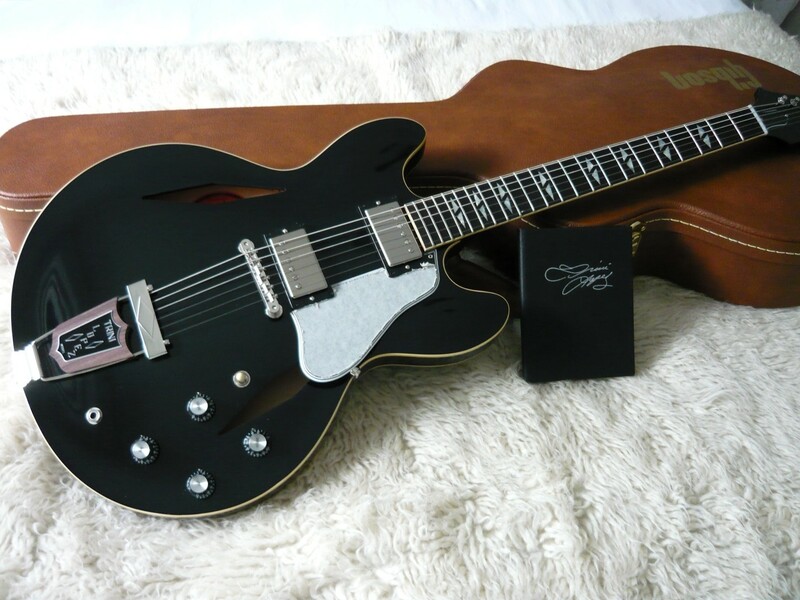 Gibson Memphis Reissue hardshell case and certificate of authenticity included.